We’d love your help. 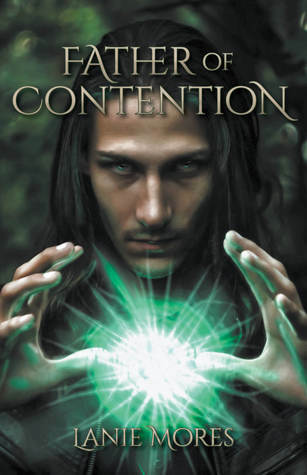 Let us know what’s wrong with this preview of Father of Contention by Lanie Mores. In 1972, German scientist Renner Scholz travels to Barbora Bay, Washington to continue his research in recombinant DNA technology. Only believing in things proven by science, his deeply held beliefs are challenged when he meets Milena Nowak, a psychic. After a whirlwind romance, Renner becomes obsessed with understanding Milena's There was only ever meant to be one Creator. To ask other readers questions about Father of Contention, please sign up. What a great addition to the Sci Fi and Fantasy Novel Genre. I loved the fact that the author was able to transport her reader to the exact setting with the characters. Renner, I love that name, but the way, was such a fascinating character for me. I enjoyed the writing style and the pacing. There were parts that moved very fast and then other parts that slowed down, just enough to let us catch our breaths. The cover of this novel is in your face and beautiful and I liked that the novel was able What a great addition to the Sci Fi and Fantasy Novel Genre. I loved the fact that the author was able to transport her reader to the exact setting with the characters. Renner, I love that name, but the way, was such a fascinating character for me. I enjoyed the writing style and the pacing. There were parts that moved very fast and then other parts that slowed down, just enough to let us catch our breaths. The cover of this novel is in your face and beautiful and I liked that the novel was able to stand up to that.